Home Business Why invest in Republic of Srpska? Why invest in Republic of Srpska? Republic of Srpska is very rich in natural resources, most notably in good-quality and unpolluted agricultural land (especially suitable for the production of organic food), forests, and electric energy potential. Total area of agricultural land in the Republic of Srpska is 1.299.000 ha (51.4% of territory in Bosnia and Herzegovina), which, against the size of the population, makes approximately one hectare per capita, which is above the world average (0,24 ha per inhabitant) and the European average (0,40 ha per capita). Clean air, land and water provide favorable conditions in the RS for the production of organic food. Planes in the south and westward from the river Sava provide ideal conditions for cultivating wheat, corn and vegetables, industrial plants, such as flax and hemp. Land is not polluted with chemical fertilizers and pesticides. The biggest potential lies in cattle farming and meat industry, chicken farming and egg production, as well as fruit and vegetable production. All these conditions provide excellent environment for growing a wide range of plants and animals, with the possibility of harvesting crops and fruits up to three times a year, on the same land depending on the culture. According to the statistics from the beginning of 2010, there are almost 14 million trees of plum, pear, apple and other fruits in the Republic of Srpska, which could be exported and used for the production of fruit juice. Availability of organic products and clean water, explains why international food producers and distributors recognize the value of this sector. For centuries, the warmer areas in Herzegovina have been the center of wine production, tobacco growing, as well as of lavender and other aromatic plants growing. Republic of Srpska is also well known for its high-quality medicinal herbs, which are used in pharmaceutical and cosmetics industry. Fish farms are developed in clean, unpolluted rivers that run through the country. According to the data of the Cadaster of Forests and Forest Land, total area of forests and forest land in the Republic of Srpska is 1,282,412 ha, or 51.7% of the total territory of the Republic of Srpska. The area of forests owned by the Republic of Srpska is 982,893 ha (77%), and of private forests without forest land is 281,965 ha (22%). The area of usurped forests and forest land account for 17,554 ha (1%). Forest cover rate of the Republic of Srpska is 51.7%, and there is about 0.7 ha of forest land covered by forest per capita. Total annual volume increment in the forests owned by the Republic of Srpska is about 5,134,000 m3. 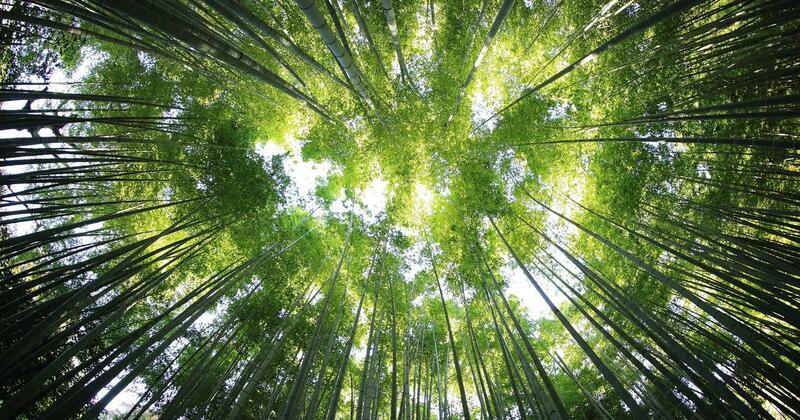 Production potential of forests is not only used through wood volume, rather potentials for production of various fruits, mushrooms, medicinal herbs, wood coal, hunting and fishing are of growing importance, as well as use of peat etc. It is estimated that under dry conditions the forests of the Republic of Srpska include about 1.5 kg/ha of quality medicinal herbs, aromatic herbs and edible plants, about 6 kg/ha of forest products, about 500 tons/annum of mushrooms and other plant raw material. From the point of view of hydrology, the territory of the Republic of Srpska may be assessed as rich in surface and ground water resources. All major rivers belong to the Black Sea basin. 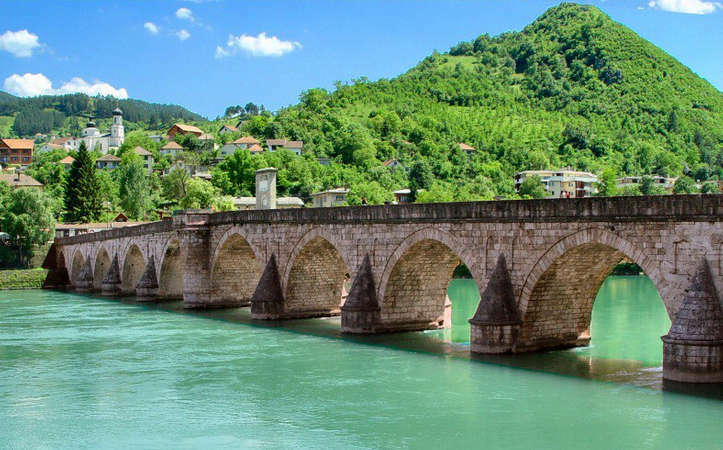 Backbone of the Black Sea basin is the river Sava which runs through low ground, so all major rivers flow into it – rivers Una and Sana, Vrbas, Ukrina, Bosna and Drina. They all have a composite character of river valleys with large slopes, and provide significant hydro energy potential. In this respect, of special importance is the river Drina which has the most developed hydrologic system and huge hydro energy potential which is still underexploited. Other rivers are also significant for the economy. Hydrographic river network of the Republic of Srpska is complemented by the largest and most significant river in east Herzegovina – Trebisnjica river, whose hydrographic potential is almost fully exploited. This river, as well as almost the entire ground karst hydrographic network, belongs to the Adriatic basin. Current exploitation of the total potential for the production of electric energy in the Republic of Srpska is around 30%, which speaks about the possibilities for investing into and developing this sector further. Installed power of currently available electric energy capacities in the Republic of Srpska is around 1300 МW, which should become three times larger after the realization of several capital projects (thermal power plant Stanari, as well as Ugljevik; hydro power plant on the river Drina; hydro power plant on the river Trebisnjica, etc.). Research conducted in the 80s identified around 120 locations for building small hydro power plants (some of the rivers run along the border line) with total installed power of around 340 МW and the average annual production of 1400 GWh. Moreover, Republic of Srpska has large potential in the exploitation of renewable energy sources, such as wind power, solar energy, biomass energy and geo-thermal energy. Republic of Srpska, especially its southern part, has been recognized as an excellent area for building wind power plants. In accordance with research conducted by domestic and international experts, wind potential of the Republic of srpska has by 30% larger usability coefficient than the EU average. Furthermore, Republic of Srpska has significant reserves of brown coal, lignite and peat, whose estimated quantities exceed 4 billion tons. Two main reserves of coal are in Krajina, in Gacko basin. Established reserves of brown coal, lignite and peat offer numerous possibilities for investors in construction projects of new coal mines and new thermal plants, as well as plants for the production of liquid fuel from peat. Furthermore, preliminary research in regards with oil and gas shows the existence of promising deposits on many locations in the Republic of Srpska. The ground also contains large deposits of coal and limestone materials important for metal production industry.